was only open for about a year. It had slots, 21, craps, roulette, poker, and bingo. a few other collectibles survive today. 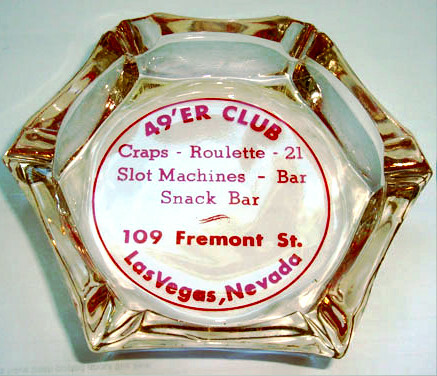 This is a very hard to find ashtray from the 49'er Club. 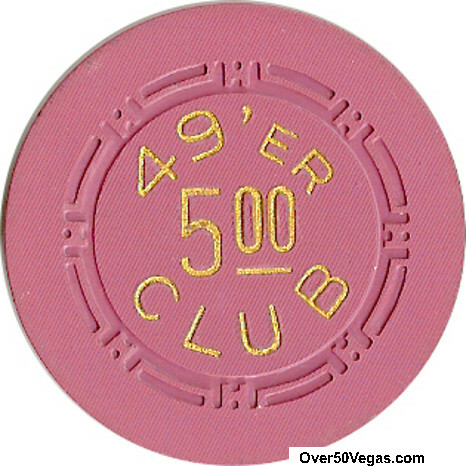 In a newspaper article dated August 5th, 1952, Cecil Lynch applies for a bingo parlor license at the 49'er Club in Las Vegas. The application was deferred pending the commission’s investigation into Lynch's arrest for operating a "Bridge-o-Bingo" game in Lynch's club in Chino, California in 1951. Lynch said he was presently appealing the gambling misdemeanor conviction which was the result of a test case concerning the legality of "Bridge-o-Bingo". Lynch said he did not feel that opening a new bingo game in Las Vegas "would create a war, but would create competition and restore the old spirit of bingo in the city." 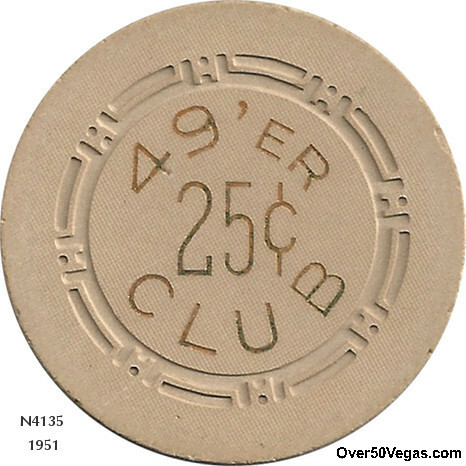 It's interesting to note that at that time in Las Vegas there appeared to be a gentlemen's agreement among the casinos to have only two bingo games running so as not to dilute the pool of players. 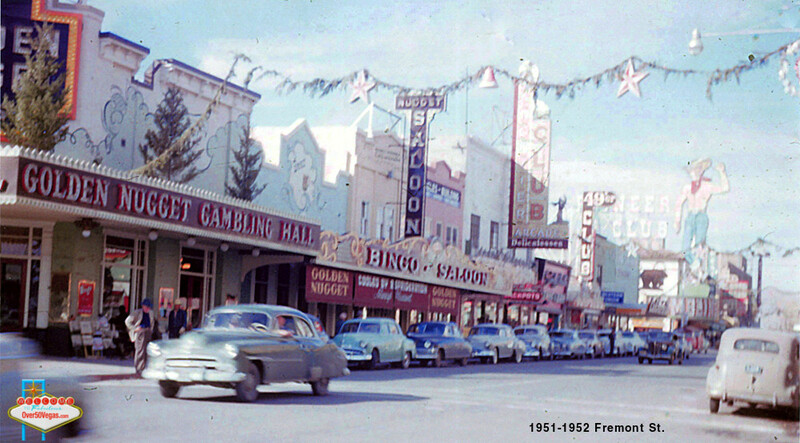 Three other operators of bingo parlors had closed down, however, Lynch said that those three still got a share of the profits from the games still operating. He said he did not intend to give a share of the profits of his bingo operation to other bingo operators. The application was deferred on both August 5th, Sept 11th, and 18th, 1952 but finally approved on Sept 30th, 1952. 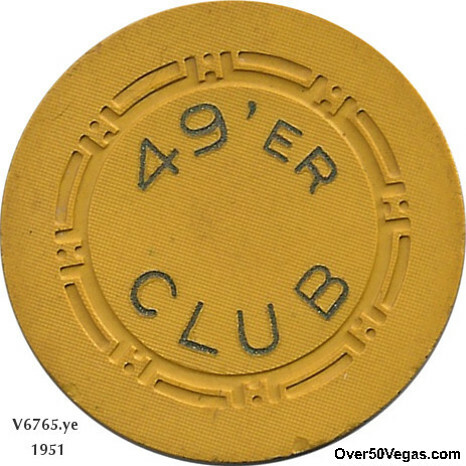 However, records show the 49'er finally closing in 1952 and becoming the Fortune Club. 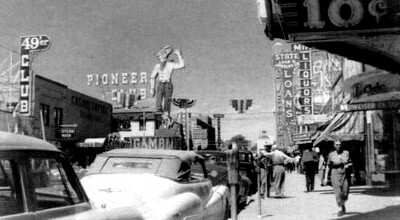 At the time of the article (1952) Lynch was the former manager of the bingo parlor at the “New” Las Vegas Club in Las Vegas. He testified that he would own 25% of the operation at the 49'er and amusement park operator David Gordon of San Diego would own 75%. A 1949 newspaper article also mentions Cecil Lynch in association with the Las Vegas Club. 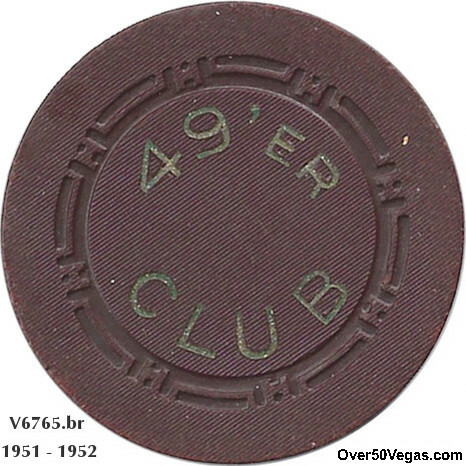 I haven’t seen many photographs of the 49er Club since it was open for such a short time. 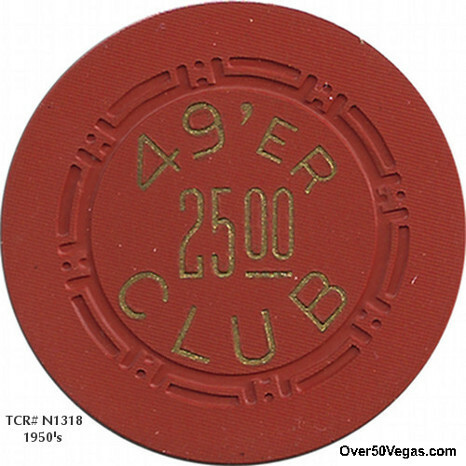 which shows the 49er Club very well. 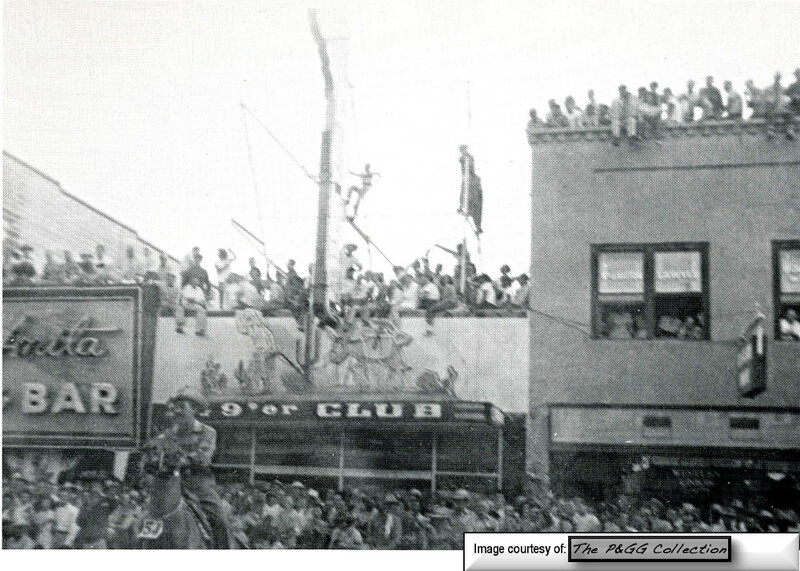 Below is a photo showing the 49er Club during what appears to be Helldorado!